Does Turmeric Cause Kidney Stones? Kidney stones are hard, crystalline mineral deposits formed within the kidney or urinary tract. Nephrolithiasis is the medical term for kidney stones. Decrease in urine volume or increase in stone-forming substances leads to the formation of kidney stones. Most common kidney stones contain calcium with oxalate or phosphate. Certain urinary infections can also cause kidney stones. Calcium stones- These are made up of calcium oxalate, maleate or phosphate. Eating foods rich in oxalate increases your tendency to develop calcium stones. Uric Acid- This occurs when the urine is very acidic or individuals suffer from gout. Purines present in animal protein if taken in excess cause uric acid stones. Struvite- These stones are caused by urinary infection. Cystine: These stones are rare and caused by individuals with cystinuria. Kidney stones pass from the kidney to ureter and the bladder for excretion. However, this can cause spasm and irritation leading to pain and bleeding. At times stones may block the passage of urine and lead to kidney damage and kidney infection. Medications generally involve painkillers, diuretics, and medications for treating different stones. In some cases, surgery may also be required. Lithotripsy is a method in which sound waves are used to break large stones such that they are small enough to pass out of the body. What is the role of turmeric in kidney stones? Anyone can develop kidney stones, however certain individuals are at a slightly higher risk of developing kidney stones. Urinary tract stones are more common in men than in women. A family history of developing kidney stones increases the risk for it. Certain pregnancy related changes can increase risk of developing kidney stones. Dehydration or low fluid intake can cause kidney stones. High dietary intake of animal protein, sodium, oxalate, refined sugars etc. may increase risk of kidney stones. Kidney stones are common in people with Crohn’s disease. Obesity is another risk factor for kidney stones. Metabolic conditions like distal renal tubular acidosis, Dent’s disease, primary hyperoxaluria increase tendency to develop kidney stones. Gout, a type of arthritis, increases tendency to develop kidney stones. Oxalates are naturally occurring substances present in various foods. They are essential for certain metabolism related reactions. Apart from eating oxalate containing foods, we also make oxalates in our body. 20-40% of oxalates in our blood come from oxalate containing foods. Rhubarba has high concentration of oxalates- 450-600 mg for every 3.5 ounces. Chocolate is also high in oxalates. Other foods rich in oxalates include spinach, almonds, beet greens, cashews ,peanuts etc. The problem with oxalate arises when it overaccumulates in the body. Some individuals tend to absorb more oxalates via the intestine than others. More oxalates absorbed mean more oxalates to be excreted. This in combination with high urinary calcium content in body increases the risk of calcium oxalate kidney stones. Only soluble oxalates get absorbed in the body. Our intestine contains healthy bacteria that break down oxalates. The combination of foods we eat determine the soluble oxalate content we consume. The American Dietetic Association recommends that those who are prone to developing kidney stones should consume no more than 50mg of oxalate per day. Some experts suggest that turmeric supplementation can cause kidney stones due to the oxalate content of turmeric. This is because turmeric contains high levels of oxalate and may increase urinary oxalate excretion. However turmeric possesses certain properties that could even benefit in kidney stones. So what exactly is the role of turmeric in kidney stones? Turmeric powder is said to be high in oxalates which could increase the risk of kidney stones. But standardized curcumin extracts are low in oxalates. Here is the real picture. Cinnamon and turmeric have high amounts of oxalate. But cinnamon has high calcium levels so it provides insoluble calcium oxalate which is not absorbed by the body. This is not the case with turmeric. Tang et. al in their study ‘Effect of cinnamon and turmeric on urinary oxalate excretion, plasma lipids, and plasma glucose in healthy subjects’ have demonstrated that turmeric at supplemental doses may increase risk of kidney stones. 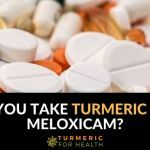 11 healthy individuals enrolled in this study and for 4 weeks they were given either 3g of cinnamon or 2.8g of turmeric powder in the form of capsules. They provided an oxalate load of 55mg oxalate per day which is more than the recommended limit of 50mg. However cinnamon provided only 6% of soluble oxalate due to its high calcium content whereas turmeric provided 91% soluble oxalate. Oxalate levels excreted via urine were monitored. Within 6 hours the % absorption of oxalate was 8.2% with turmeric and 2.6% with cinnamon. Hyperoxaluria is when urinary oxalate excretion is 40mg in 24 hours. The 24 hour oxalate excretion for turmeric was 24.9mg which was below the cut off. However, the researchers suggested that the 6 hour oxalate absorption rate for turmeric was significantly higher than cinnamon and hence it could increase the risk of developing kidney stones in susceptible individuals. Two concerns about this study is that: it uses turmeric spice powder (not extracts) and the amounts used are way higher than what we would include in the diet daily. So healthy individuals who have good oxalate metabolism and use dietary amounts of turmeric (1 tsp) daily would not experience any risk of kidney stone. Kidney stone formers have a high rate of synthesizing oxalate in the body and may absorb a higher amount of dietary oxalate. Also, kidney stone formers are likely to have higher oxalate intake than those used in the study. Therefore an additional load of supplemental turmeric may increase 24 hour urinary oxalate excretion levels close to or above 40mg cut off. In the study that mentions turmeric at supplemental doses (2.8g) increases risk of developing kidney stones in susceptible individuals, the turmeric absorption at 6 hours was 8.2% but the 24 hour urinary excretion was less than 40mg cut off. The turmeric tested was turmeric powder in capsules. 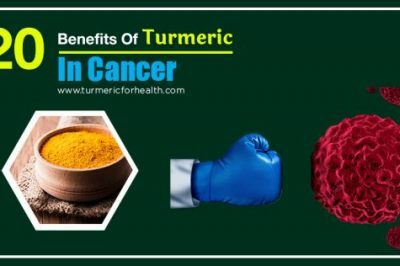 Daily dietary turmeric consumption is much less than the amount studied and hence it would not have any adverse effect in healthy individuals. 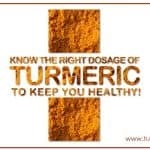 However researchers state that the oxalate load of turmeric could add to the already high oxalate load of susceptible individuals and thus supplemental doses of turmeric spice could increase risk of kidney stone development. In response to the above mentioned paper, Sabinsa Corp. investigated the oxalate content of the standardized curcumin extract. Curcumin C3 complex is standardized extract of curcumin that is manufactured by Sabinsa Corporation. Curcumin C3 complex contains 70-80% of curcumin, 15-20% of demethoxycurcumin and 2.5-6.5% of bisdemethoxycurcumin. It was patented by Sabinsa in 1996. It is prepared from dried rhizomes of turmeric by strict and standardized procedures of manufacturing and purification. 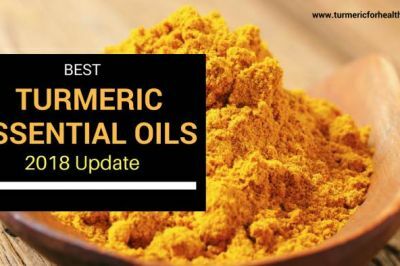 Dry turmeric powder contained 0.27% oxalate, dry aqueous extract of turmeric powder had 9% oxalate while Curcumin C3 complex had only 0.025% oxalate. Curcumin C3 complex recommended dose is 500mg which is equivalent to the curcumin supplied by 30gm of turmeric powder. It provides only 0.025mg of oxalate. Curcumin C3 complex has oxalate content 160 times lower than that of turmeric powder used in study ‘Effect of cinnamon and turmeric on urinary oxalate excretion, plasma lipids, and plasma glucose in healthy subjects’. Curcumin C3 complex has oxalate content way lower than that found in group 4 low oxalic acid group (5 to 10mg). The oxalic acid content of Curcumin C3 complex is 88 times lower than the lowest level required to classify the food as high oxalate food. Sabinsa Corp. has conducted a study and proven that supplements that contain high purified standardized curcumin extract Curcumin C3 complex does not increase risk of kidney stones in susceptible individuals. In fact it provides only 0.025mg of oxalate in 500mg dose and has oxalate content way lower than that found in group 4 low oxalic acid group foods. Two of the most important pharmacological properties of curcumin that benefit in kidney stones are its anti-inflammatory and antioxidant properties. 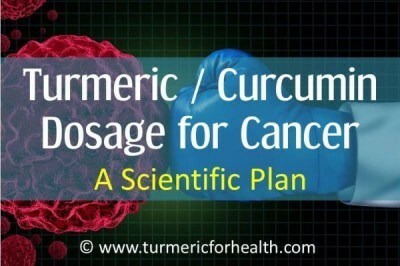 These properties make curcumin a kidney protective agent. In an animal model of kidney stones the effect of plant antioxidants, rutin and curcumin was studied. Rutin and curcumin supplementation restored the elevated levels of calcium and oxalate in urine and kidneys to normal levels. Additionally reduced tissue damage and reduced number of kidney stones was observed in curcumin and rutin treated animals. Lithotripsy is a treatment used in the removal of kidney stones where sound waves are used to breakdown large stones to smaller sizes such that they can be excreted. However, this treatment causes oxidative damage to kidney tissue. Research shows that curcumin can be used as a protective agent against kidney injury during lithotripsy. Curcumin can protect kidney from damage and injury due to kidney stones and can also reduce kidney stones deposits. It can also serve as a protective agent in lithotripsy. 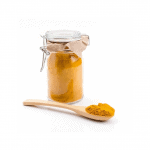 To use turmeric for kidney stones one can opt for standardized curcumin extract supplements. We generally recommend taking turmeric as The Golden Paste. It is a good blend of turmeric, black pepper and healthy fats which ensure better absorption of turmeric. 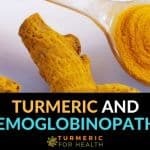 The dosage is 1-2 teaspoons once or twice a day which would be around 1-2 g of turmeric powder. Turmeric as a spice has high oxalate content as much as 26-99 mg per serving. Hence turmeric spice should be avoided or limited (to less than 1 tsp daily) by those who are at a high risk of developing kidney stones. This is not applicable to healthy individuals who have healthy oxalate metabolism. 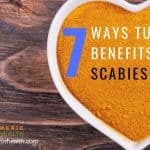 They can safely consume supplemental doses of turmeric spice as Golden Paste. The oxalate content of turmeric powder may be of concern if you are prone to developing kidney stones. In this case, with doctor’s consult, it is advisable to take good quality turmeric supplements with standardized curcumin extract. 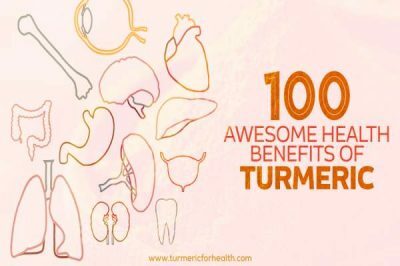 The recommended dose of turmeric supplements is 400-600mg 2-3 times a day. It is best to consult a doctor before taking turmeric supplements. 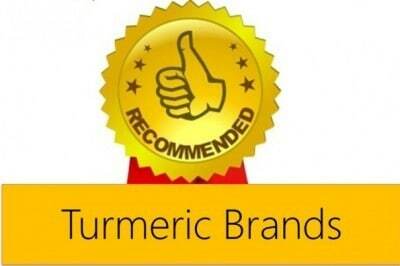 If you need help deciding good brand of turmeric please check this link. Turmeric in diet is safe but if you are prone to kidney stones you have to watch the amount you consume. Turmeric in excess could cause gastric discomfort. Turmeric supplements should be avoided in pregnancy and lactation. Turmeric may mildly increase bleeding risk, hence should be discontinued 2 weeks prior to surgery. If suffering from gallstones problem avoid turmeric supplements. 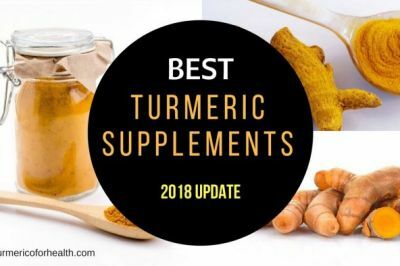 Turmeric supplements could have drug interactions with blood thinning medications, diabetes medications, stomach acid reducing drugs and certain antidepressants. Turmeric powder due to its high oxalate content could pose some risk to individuals susceptible to kidney stones if they already have a high dietary oxalate load. In healthy individuals, the oxalate content of turmeric is not an issue. There has been one study shows that high doses of turmeric spice increases oxalate excretion in healthy individuals but this is below the cut-off level that would otherwise be considered as a risk factor for kidney stones. Those who are at risk of developing kidney stones are asked to limit their dietary oxalate intake. 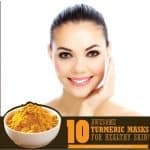 In such a case it is advisable to limit daily turmeric intake to less than 1 tsp or avoid turmeric powder completely. Turmeric supplements made from standardized curcumin extracts such as Curcumin C3 complex contain very low levels of oxalate. This could be beneficial for high risk individuals. For example gout increase risk of developing kidney stones. If someone would like to treat their gout with turmeric they would have to opt for turmeric supplements as the amount of turmeric powder they would require to consume would increase their oxalate load. Turmeric, especially curcumin, holds benefits for kidney stones. 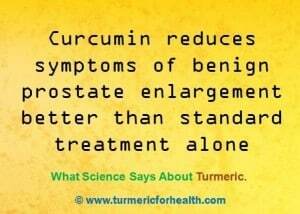 Its best to consult a doctor and take turmeric supplements when advised. thanks for the valuable information…… but iam still confuse what to do, once i suffered with kidney, i have seasonal coughing and fitness freak person and trying to bulk……. but it is said to have lots of benefits of haldi milk together with weight loss…. but i dont want to loss weight and should stay away from kidney stones…. Hi. 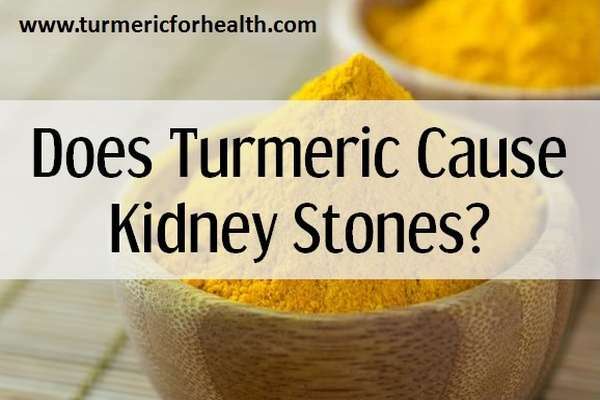 If you are prone to developing kidney stones, please limit intake of dietary turmeric and if you do plan to take it therapeutically then consider curcumin supplements. Thank You for information!! 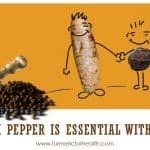 How do I know whether I’m susceptible to kidney stones or not before taking turmeric with black pepper? Hi. You might be consuming other oxalate rich foods in your diet and not experienced any kidney stones yet. The precaution is outlined primarily for thos who have had previous episodes of kidney stones or have been tested for abnormal oxalate metabolism. It’s very common for people in India to add turmeric to their milk. While there’s no research that I can find, anecdotal evidence of their low kidney stone rates do support the theory that calcium can bind with the free oxalates in turmeric. If kidney stones are formed by calcium and oxalatesin the bloodstream, one could argue that binding calcium and oxilic acid prior to absorption (before getting to the intestines) could significantly reduce the formation of kidney stones. If you were to take calcium supplements with your turmeric, or even just consume foods high in calcium along with turmeric, your risk of kidney stones could be lower. One more bit of anecdotal evidence: most Indian dishes that are high in turmeric contain yogurt as the base sauce or in some side dish. This could be part of their cuisine because of hundreds of years of experimenting with what works with turmeric. Thank you so much for the information. Appreciate the time put into this. I do suffer from kidney stones. Had my large colon removed and then a j-pouch reversal done. No bag. However, since the surgery I’ve been plagued by kidney stones! capsules. I’ve been taking one each morning with my breakfast. Have back pain and it helps so much with it. Am I causing myself more harm than good ? Am I increasing my risk of kidney stones with curcumin supplements? Hi Nancy. As the article mentions, curcumin supplements do not pose a risk for kidney stones as they have been purified and have negligible oxalate content. 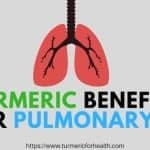 Please ensure that you take standardized 95% curcumin with bioperine. Also consult your health practitioner about the kidney stones and kidney health and do confirm with him/her about the safety of curcumin supplements. if the calcium in the cinnamon is what prevents the high oxalate levels, why don’t we just take our turmeric with calcium (like with milk for instance)? would that be acceptable? Hi. 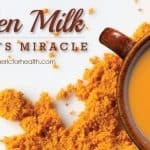 That is an interesting point and previously one of our readers have mentioned this as well of taking turmeric with milk to reduce oxalate content. Since there is no clinical evidence available on this, it would be difficult to get a definite answer. So we recommend using low levels of turmeric as a spice in order to keep dietary oxalate levels low. Thank you for all your wonderful and dedicated advice. Thank you for your feedback. Wish you great health! I’d like to comment, but I asked a question about 3 weeks ago, and no one has ever gotten back to me. Does that mean you can’t find an answer???????????????? Hi Larry. There is no specific dose of turmeric outlined for high PSA levels. 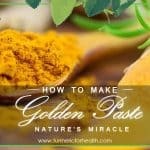 It is advisable to take Golden Paste at a dose of 1-2 tsp 2-3 times a day and if it suits you, you can increase the dose for faster therapeutic effect and to get a larger amount of curcumin. You can start with 1/4 tsp a day for a week and gradually increase the dose by 1/4 tsp per week. 1 tsp 2-3 times a day is ideal dose and should help. If it suits you, you can increase the dose to 1 tablespoon 2-3 times a day. Also, as with chocolate, wherein the soluble content of oxalates is less in milk chocolate than in dark chocolate – because of the milk calcium – so what happens if you take your turmeric with milk – any studies on that? Does it decrease the soluble oxalates without negatively affecting the absorption of curcumin? Hi. Yes absolutely we have covered the point of limiting turmeric intake as a spice in gout and kidney stone in most of our articles. There has been no study discussing the effect of oxalate absorption of turmeric and milk combination. Curcumin’s absorption with milk would be dependent on dairy fat, dairy protein etc. Theoretically calcium should not affect curcumin’s absorption But it would be really interesting to know whether calcium content of milk would affect the oxalate absorption of turmeric in the body. We would have to wait for concrete results on this. I find this information not very clear. For instance, there is a line: “If suffering from gallstones problem avoid turmeric supplements.” But if you look at the websites about gallstones, you frequently find that turmeric is recommended as the natural remedy which will help to remove the stones. So what should I believe? If they drop a bomb like this, at least they should explain why exactly people with gallstones are better off without turmeric. Don’t just postulate, give your reasoning! Now this is really good for all of us because this action helps increasing digestive enzymes by stimulating pancreas and gall bladder. So turmeric is great for preventing gall stones in the first place. But in the case where you already have a gallstone obstructing the bile duct then a contraction by 50% could cause severe pain and discomfort. That is why someone with an active gallstone should avoid curcumin. We will cover this more in detail in a prospective article but till then hope this helps. I simmer turmeric (and ginger too) in water to make ice cubes which are very convenient to use. 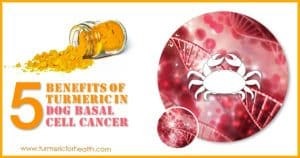 It seems to me that when you use spices that are active medicines in your food instead of as supplements, that the dose is safer because the turmeric, ginger, or whatever is part of a recipe. Yes Emily, dietary form of most spices is much safer than supplemental doses in certain conditions. This is because when in food these spices do get converted to other therapeutic compounds, some of it increases absorption of other nutrients, some of it increases antioxidant power, some of it gets integrated in the food matrix which is better absorbed in the body. Also the amount required in the recipe is low. So say if a person is prone to bleeding risk then 1/4-1/2 tsp turmeric in food would be safer for him than 500mg curcumin supplement. It is hard to decipher this when you are someone like me who uses Tumeric Paste. 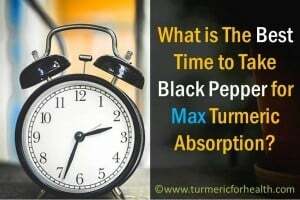 The ratio is one cup of Tumeric to 3 cups of water to 1 cup CCNO plus a little cinnamon salt ginger, cardamom, and plenty of fresh ground black pepper. I have no idea how much actual tumeric is in a tablespoon or 2. Assuming the ratio is 1 to 4, and I am consuming a generous guess of 1 TBS ground Tumeric per day, how do I know what the oxalate load would be? I haven’t had any problems. And I love the paste for what it does to my food and it’s many benefits. It is very hard to extrapolate whether I am overdosing on tumeric. How can I know this? Hi Elissa. Do you suffer from kidney stone formation, because if that is the case then you should worried about the oxalate load. 1 tablespoon of ground turmeric would be roughly 6g. Now the oxalate content of turmeric depends on the place where it is grown as well as species. So it is hard to give a definite amount. Averagely the oxalate content is 1500-2000mg per 100g of turmeric (based on a couple of papers) but then every researcher has come up with a different value. You technically can’t overdose on turmeric. It is a spice and every recipe calls for a different amount. It depends on every individual as to what suits him/her. 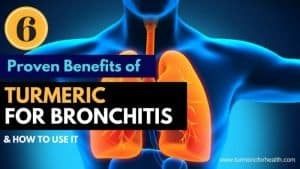 The most obvious sign of a particular amount of turmeric not suiting you would be gastric discomfort like acid reflux like symptoms, bloating etc. Since you are not facing that, this dose of turmeric suits you. Readers take as much as 1 tablespoon 2-3 times a day and do fine whereas some need only 1 teaspoon a day. The oxalate content should be a reason of concern only if you are predisposed to condition that affects oxalate metabolism.